Explore artificial intelligence vendor companies in the transportation sector, including companies in self-driving cars, public transportation systems, and more. 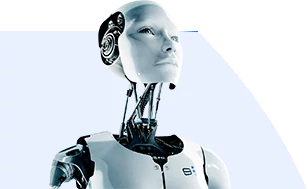 Description: UBTECH Robotics Corp. is a high-tech enterprise engaging in the R&D, manufacture, as well as promoting and popularizing robot around the world. With Ubtech’s own innovative technology and outstanding creativity, Ubtech is working to create a intelligent robot that can interact with people, help and serve people. UBTECH starts a new era of intelligent robot time. Products: Alpha 2: Provide a powerful cloud services, open interfaces and application platform, support "VAPP" application evelopment, meet the demand of users, Exynos 5260 six core processor 2 gb DDR3 memory. Built-in intelligent voice system, voice chatting capability, simultaneous interpretation, voice search, voice relay, gives verbal reminders and receives verbal control capabilities. Alpha 1S: Sharing the joy. The upgraded version of the app’s control program features a sharing list for new actions, which can upload and download quickly. This allows you to share your joy with amateurs around the world. Easily controlled via the APP. Using the APP terminal to control Alpha 1S is simple and easy. This allows you to display its advantages whenever and wherever possible. Simple and easy to operate and control. With Bluetooth, it can be quickly connected to its mobile app. It is also compatible with iOS and Android. Alpha1 Pro: The new generation with new appearance and joints to bring you better and smoother experience.Safe with strong protection. It's suitable for young amateurs and beginners for its “finger-friendly” structural design as well as eco-friendly and “shock resistant” materials. Description: KONUX is a Munich-based sensor and analytics company, combining the best of German engineering quality with Silicon Valley speed and innovation. We develop customized smart sensors and use AI-based data analytics to generate real-time insights into the health of machines and infrastructure. Our mission is to solve complex technical challenges and help the customers become data-driven industrial companies. We are currently digitizing Deutsche Bahn’s high-speed railway network through condition monitoring of switches and crossings, a critical part of the railway infrastructure. By providing real-time condition monitoring of switches, the KONUX solution is helping Deutsche Bahn reduce inspection and maintenance costs by 25%, decrease infrastructure downtime and improve worker safety. Products: SWITCH MONITORING: KONUX supports rail operators and keep track of switch health. Switch failures are among the most common causes for delays and disruptions of train schedules. Our end-to-end solution helps monitor progressing mechanical wear of switches caused by train passages, and detect anomalies in time. ASSET MONITORING: KONUX helps supervise your assets. By continuously monitoring the status of assets, maintenance needs can be predicted and action can be taken before the operational process is negatively affected. Instead of losing efficiency and revenue due to unexpected machine downtimes, the full potential of asset lifetimes is utilized. ROLLING STOCK MONITORING:KONUX provides you with a wayside monitoring solution to make sure your rolling stock is healthy. Continuous gathering of data allows for status analysis over the entire rolling stock fleet and data-driven performance improvements are made possible, for instance state-dependent maintenance. ANOMALY DETECTION: KONUX helps supervise your high value assets. By continuously monitoring the health status of assets, maintenance needs can be planned and action can be taken before the operational process is negatively affected. Instead of losing efficiency and revenue due to unexpected machine downtimes, the full potential of asset lifetimes is utilized. PREDICTIVE ANALYTICS: Have all data in one place, structured and accessible. Get insights fitting your needs. Combine different sources and learn more with more data. CUSTOMIZED HARDWARE: Append additional hardware to your needs. Simply gather more data. Customize your dashboard and see only what you need. Description: Palo Alto-based NAUTO, founded in 2015, is an autonomous vehicle technology system with an artificial intelligence-powered connected camera network and continuous learning cloud designed to make driving safer, easier and more efficient. Products: Nauto for Professional Drivers and Fleets: Whether you manage a passenger, service, or specialty fleet, Nauto increases safety and optimizes performance for each and every one of your vehicles. The easy-to-install dual facing camera includes an array of smart sensors that analyze driver behavior, monitor vehicular activity and track environmental conditions in real time. Combined with a perpetually learning AI, Nauto packs a powerful suite of tools into an aftermarket, cost-effective device that can reduce your fleets overall liability by as much as 25%. Nauto for insurance: Nauto provides insurers with the data necessary to package a wide range of enhanced mobility products and services to their customers. With Nauto’s data and analytics in mind, insurance companies can target new markets with insights tailored specifically for each customer segment from specialized fleets to teen drivers. The economical choice for any fleet, Nauto's smarts can help reduce fraud and loss adjustment expenses by as much as 25%. Nauto for cities: As a hub for automotive, insurance and fleet industries, Nauto provides public sector partners with a wealth of knowledge applicable to a variety of municipal challenges. In deploying Nauto’s AI data platform, cities can apply the collective learning of thousands of cars on the road to urban planning, law enforcement and emergency preparedness. Nauto can make postal delivery, sanitation, emergency response and law enforcement vehicles, smart vehicles, bringing 21st century smarts to aging vehicle inventories. Nauto for Automotive: Nauto collects data across a diverse network of vehicles from around the world. The AI powered dual camera analyzes collisions, detects risky driving and monitors a variety of events occurring inside and outside a vehicle. In partnering with automotive manufactures and technology companies, Nauto can share this data with those looking to better understand driver behavior, complex traffic situations and automotive patterns amongst urban, suburban and rural streets. Essentially, Nauto helps automotive manufactures and technology companies gain a leading edge on the smart car revolution. Description: Nexar employs machine vision and sensor fusion algorithms, leveraging the iPhone’s sensors to analyze and understand the car’s surrounding, and provide unique documentation in case of accidents. The depth of Nexar’s on-device analysis allows it to create an accident report that completely transforms the insurance claims process. Nexar adds a video of the accident to the claim, alongside a detailed reconstruction based on the iPhone’s sensor readings. We are building Nexar as a network connecting cars nearby (v2v). Nexar will initially warn drivers of dangerous intersections and cars in their vicinity based on crowdsourced insights. As Nexar grows into a dense network of connected dashcams, it will warn drivers in real time of dangers on the road beyond their direct line of sight. Products: THE CONNECTED DASH CAM: Nexar instantly detects dangers on the road and provides “watch out” life-saving warnings. The app records the road and in the unfortunate case of a collision provides you with the evidence of events as they occurred to help you with your insurance claim. Description: Affectiva, an MIT Media Lab spin-off, is the pioneer in Emotion AI, the next frontier of artificial intelligence. Affectiva’s mission is to bring emotional intelligence to the digital world with Affectiva's emotion recognition technology that senses and analyzes facial expressions and emotion. Our patented software is built on an emotion AI science platform that uses computer vision, deep learning and the world’s largest emotion data repository of more than 4.9 million faces analyzed from 75 countries, amounting to more than 50 billion emotion data points. Affectiva’s SDKs and APIs enable developers to add emotion-sensing and analytics to their own mobile apps, games, devices, applications and digital experiences. Affectiva is also used by more than 1,400 brands, like Kellogg's, MARS and CBS to gather insight and analytics in consumer emotional engagement. Products: Affdex: Discover the true emotional impact of your content. Affdex augments quantitative research by objectively measuring consumer emotions unobtrusively, cost effectively, and at scale. No special equipment required. Mobile: Capture emotional reactions through the devices consumers use most. Affdex's mobile capability extends emotion measurement to market research, application development, and digital content testing—all on native mobile platforms. APIs & SDKs: Infuse your digital enterprise with emotion analytics and response. The Affdex SDKs allow businesses to integrate emotion data directly within apps or processes while Affectiva's APIs enable seamless and secure integration with Affdex cloud services. Emotion as a Service: Emotion as a Service analyzes human expressions of emotion simply and cost-effectively. Send data collected with optical sensors or cameras, get powerful emotion data back. Highly accurate. No setup. No integration. On demand. Offline Lab Solution: Use the Affdex technology in an Offline Lab Solution and combine facial expressions of emotion with other biosensors such as eye tracking, EEG, GSR, EMG, ECG, surveys and more. The Offline Lab Solution allows you to further elevate your emotional insights.